Moroc Lounge and Bar is set to relaunch on 12th September at Movenpick Hotel, Ibn Battuta Gate. As the weather cools down, this Middle Eastern-themed bar and lounge is the perfect place to relax and have drink with friends, or a romantic meal for two. 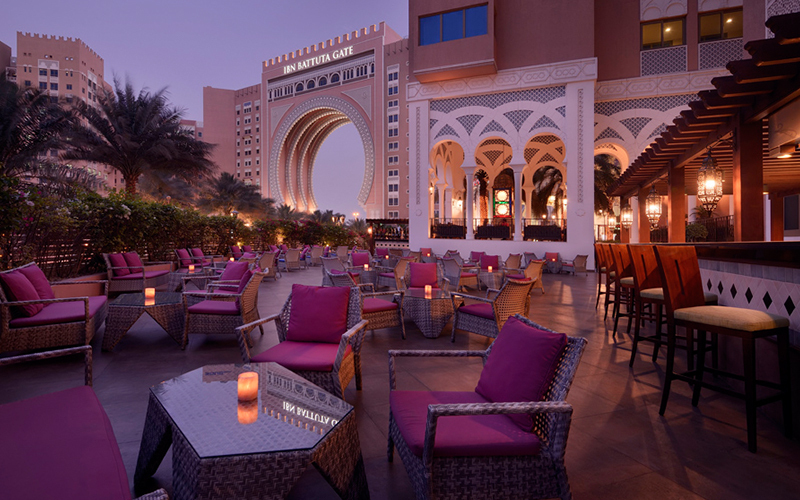 The outdoor patio area overlooks the iconic Ibn Battuta “Gate”, with the menu offering delicious tapas, fresh BBQ dishes, and a range of Moroc special dishes. The Moroc Lounge & Bar offers guests the perfect opportunity to sit back, relax and unwind whilst enjoying their favourite beverages as well as new concoctions made by the in-house mixologists.